Controlador Midi M-Audio Keystation Mini 32 MKIII. 32 Teclas. Controladores: Knob de Volume; Sust; Edit; Oct/Data; Pitch Bend(); Mod. Pads: 4 Controlos assignáveis. USB: 1x Ligação a computador USB. Sistema: Compatível com sistemas Apple - iPad (necessário iPad Camera Connection Kit MC531ZM/A). 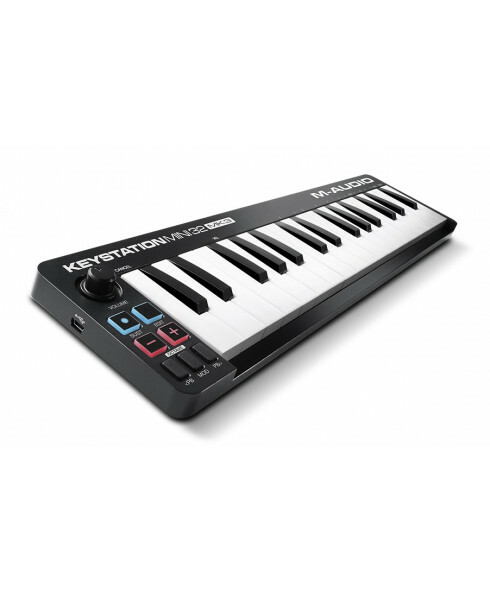 Keystation Mini 32 MK3 features 32 natural-feeling mini-size velocity-sensitive keys and comprehensive controls that expand the range of playable notes and enhance your expressive possibilities. 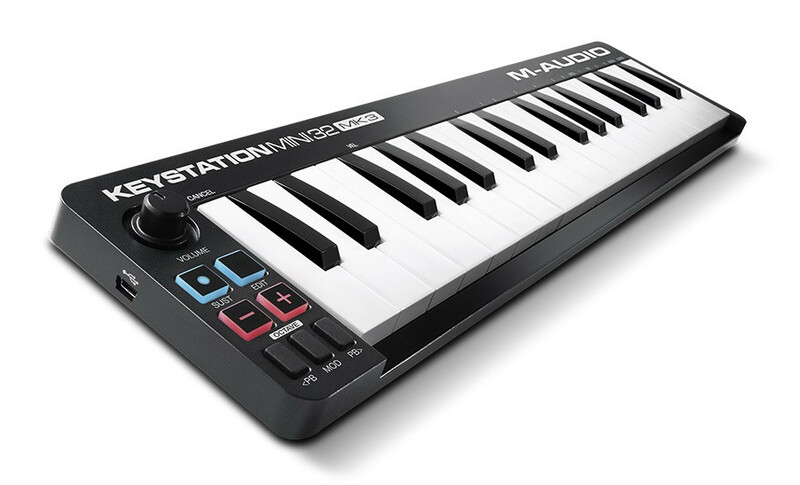 Pro Tools First M-Audio Edition is included with the Keystation Mini 32 MK3. Pro Tools is the industry standard for recording software and the teams at M-Audio and AVID have crafted a version of this terrific collection specifically tailored for M-Audio hardware. This amazing audio and MIDI recording software helps inspire any artist, musician or singer-songwriter to create, record and share all their ideas across the world at any time. Pro Tools First M-Audio Edition features Unlimited Busses, Elastic Time and Elastic Pitch, Offline Bounce and 1 GB of free cloud storage space for collaboration or accessing your projects from any computer anywhere that is connected to the internet, plus compatibility with all the included AIR Music Tech Virtual Instruments.